Hosting a party and especially a Halloween party could be a challenge. There are some easy steps and tips that will help you with the organization of your Halloween party. Guests are maybe the most important part of a party. They are those that will make the party amazing. The number of people depends on how big party you will organize and the space that you will have. If you will do it in an apartment or a small house, don’t invite too many people. This could change the mood of your Halloween party. Having a special theme/topic is an essential part especially on Halloween. You can also combine it with the dress code, which will make it easier for the guests. 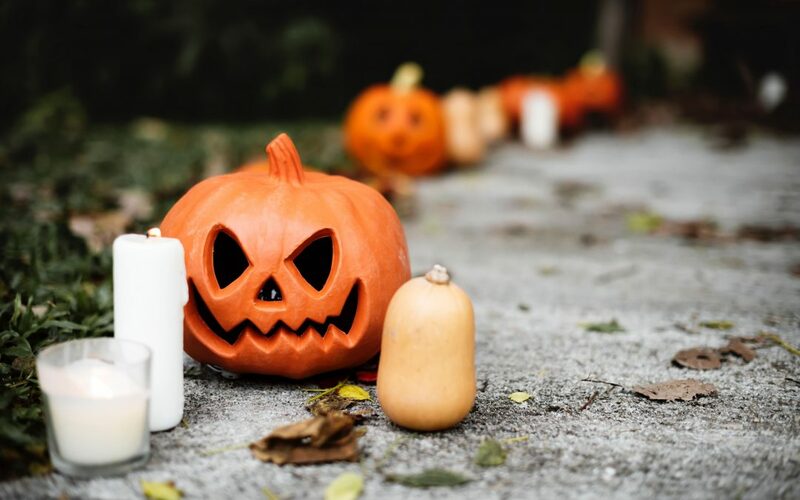 To create this theme atmosphere, you can buy all the necessary decoration from Halloween stores or even better is to go to a craft store and do it on your own. If you don’t have a lot of ideas coming to your mind, the Internet is here for you. 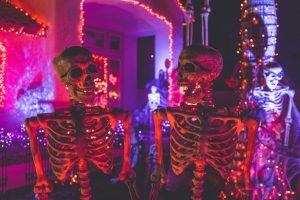 It is full of unique ideas that you can recreate for your Halloween party or to inspire you to realize your own idea. Halloween is the time to experiment and share your weirdest ideas. Another essential part of hosting a Halloween party is the food and beverages. It is fine to go for a simple menu, making you sure that everyone will like it. Yet to make it more interesting and different you can incorporate it with the theme of the party like choosing specific colors. You can also make a small research on how your food to have that Halloween inspired look. After your menu is ready it’s time for shopping. However, a good advice is to create a shopping list a couple of days before. This is the best way to ensure yourself that you will not forget anything. 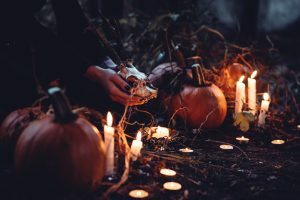 Be sure that your guests will have enough time for preparation before the Halloween party because sometimes this takes time. Especially on that kind of events where you need to think about your outfit/costume. They will be able to save that night on their calendars and be part of that exciting Halloween party. Organizing a party is not an easy job but being worried will not help you at all. Nobody is expecting from you to create something impossible. The basic and most significant idea of organizing a Halloween party is to have fun and enjoy the time with all your friends. Of course, you can do that. Especially for the decoration, gather with your most creative friends and make the magic happen – decorate and create something unique and special. You will have fun even before the party starts. To make it even more exciting you can think about organizing a contest for your guests – the best costume, the most unrecognizable one, the scariest one, etc. These are our ideas that could help you in organizing a Halloween party? What about you? Do you like Halloween and are you planning to organize a Halloween party?